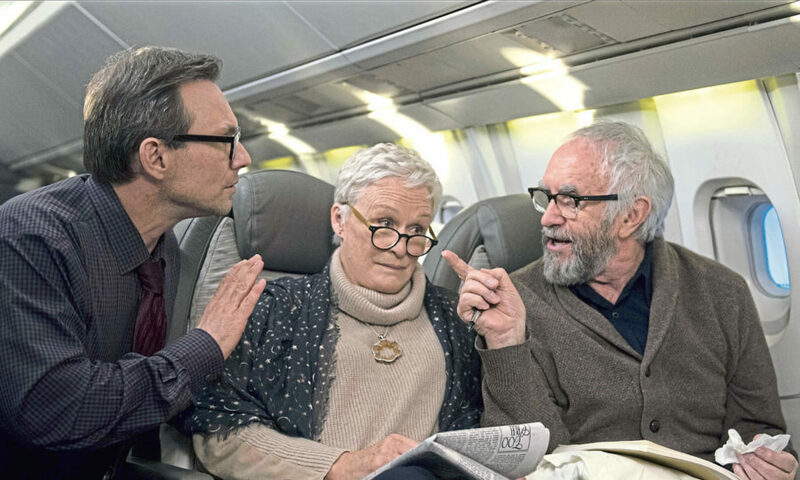 Based on the novel The Wife by Meg Wolitzer, the screenplay is written by Jane Anderson (Olive Kitteridge, for which she won an Emmy; Normal, How to Make an American Quilt). I had the opportunity to sit down with Anderson, Wolitzer and actress Annie Starke, who played Young Joan (and happens to be Close’s real life daughter), over lunch the day after Close won her SAG Award. Anderson says one of the major differences between the book and her screenplay, is the point at which we meet Joan on her journey. Anderson is referring to Joan’s arc. If Joan began the film already angry and ready to leave her husband, her character, along with the story, would have no where to go. Instead, we get to see the anger and resentment build. Close’s performance moves ever so subtly from dutiful, underappreciated wife to a woman full of power. 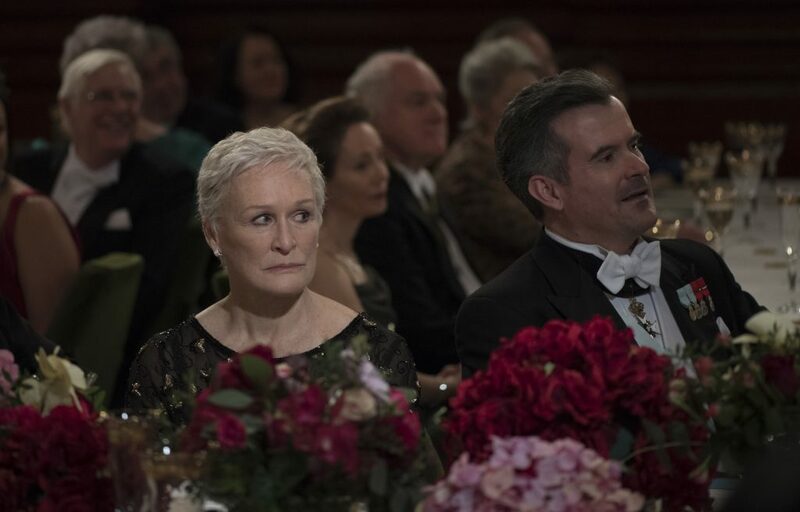 It is this slow burn that Close wears on her face that is the reason why she’s collecting so many Best Actress awards. She’s simply brilliant. What’s most surprising about this movie is that Anderson and Wolitzer claim it took 14 years to get made. The book was published in 2003 and Anderson wrote the screenplay in 2004. So what was the major hurdle? One agent even told her that if he gave the script to his male client, his client would never forgive him. So Anderson and Wolitzer decided to try another path. They would approach filmmakers in Scandinavia and Europe who were possibly more accepting of the flawed characters in the story. And they found an actor known best for playing High Sparrow on Game of Thrones to play Joe Castleman. “Jonathan Pryce, a wonderful actor and theater guy, saw this as a marvelous part and not a part second to a woman,” says Anderson. Perhaps it’s no coincidence the film was made just in time for the #MeToo culture that has emerged in Hollywood. But it’s also a time where female-driven movies are bringing in big box office. 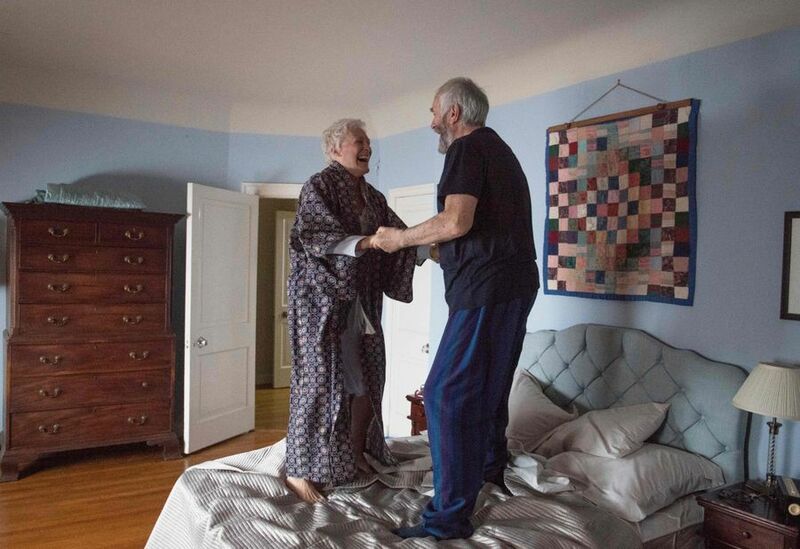 “We finally just happened to have gotten the movie made on the cusp of the Time’s Up movement. We finally hit the magical slot where pissed off women are the new black,” says Anderson. But according to both the novelist and screenwriter, there was no feminist message or agenda in the book or film. The movie certainly wouldn’t have been effective if there was. Anderson explains it this way. As all screenwriters know, writers are strangely underappreciated. “We spend six months crafting this thing and then the director is given all the credit. Of course the Writers Guild has been trying to fight that but it’s a common feeling we as screenwriters have. That’s why it was so easy for me to write this,” says Anderson. Even if you’re not a woman or a screenwriter, anyone who’s ever felt they did an enormous amount of work and wasn’t recognized for it, can also relate to the film. 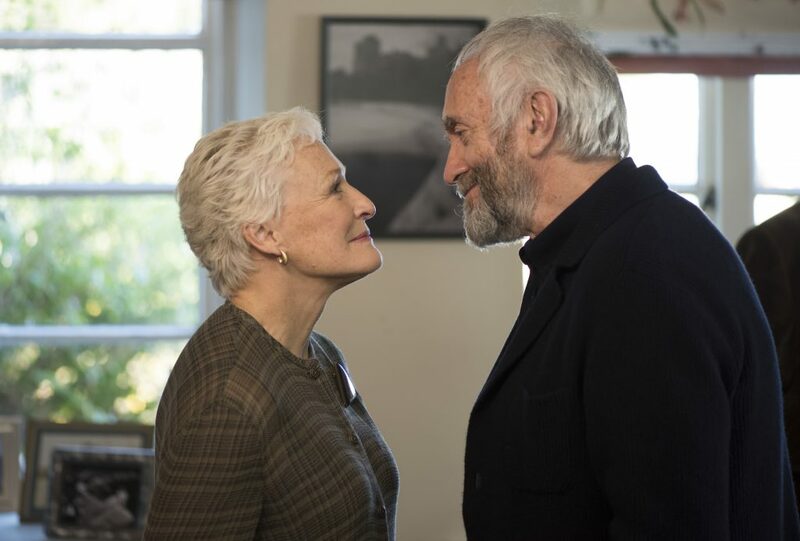 The Wife is currently available on digital, Blu-ray and DVD. No Replies to "The Wife’s 14-Year Road from Hollywood to Europe and Back Again"